My Bow box is overflowing and it grows after each video! One subscriber is going to win all of the bows in the "bow box". Must be a subscriber to the Mommy Crafts A lot youtube channel. *Leave a comment on ANY video from January 28th-Feb 28th. On February 28th, One winner will be chosen. You can reply to as many comments as you want. Just NO SPAMMING! Rude or Offensive comments directed towards anyone will NOT be counted. One word comments such as "First" will also NOT be counted. How many more bows will be added? Stay tuned! I love all your tutorials😍 I have to try the funky loopy bow with tails just because I am intrigued by the popsicle stick lol. 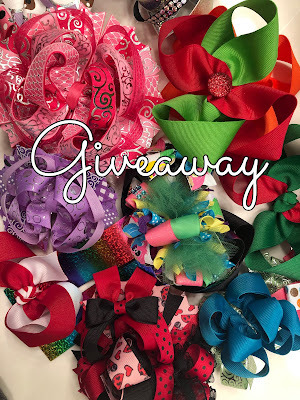 My daughter would lose her mind with all those bows as well as me. Has a winner bern chosen already? ?